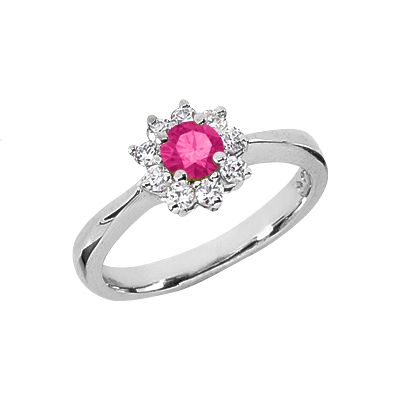 Your special lady will be happy if she opens a box containing this beautiful pink topaz ring. The center gemstone is surrounded by 9 white diamonds prong set into 14K White Gold. We guarantee our Pink Topaz Flower and Diamond Ring in 14K White Gold to be high quality, authentic jewelry, as described above.